Think back to the last time you had to take medication. Did you actually take it exactly as prescribed? Or, did you miss a few doses or perhaps just stop taking it before the last dose? There’s a good chance that you don’t take every single dose. In fact a 2015 study by market research firm Kenton Global found that 80% of Americans miss taking their medications. Most of us have a cabinet full of vitamins and prescription bottles. We have the very best intentions to take our medication. But, most of the time, we just forget. When we leave our house for the day, it’s easy to forget to grab the pill bottle or put a pill in a plastic bag. And then even if we do remember to bring the medication with us, it’s easy to forget to take it! The consequence of not taking our medications and vitamins (or taking the wrong dosage) are really big. You could end up with medical complications or worse, end up in the hospital with a serious issue that ends up costing a lot of money for insurance. An innovative company called PillPack is striving to improve the user experience of pharmacies and medications. PillPack is not just pre-packaged packets of the exact dosage of your medication. It’s actually a system that helps reduce pharmacist and patient errors, and gives patients tools that help them be more educated and motivated to take their vitamins and medications. When you sign up for PillPack, you either have your doctor send all your new prescriptions to PillPack or you have your local pharmacy transfer all the prescriptions over to Pillpack. In my case, I had my prescriptions transferred and it was a really seamless experience, I didn’t have to do anything – PillPack handled all the details. Once my prescriptions were in the PillPack pharmacy, I then logged into my account and was able to add on over the counter vitamins that I was already taking. But, I wanted them added to my PillPack for the pure convenience of it. 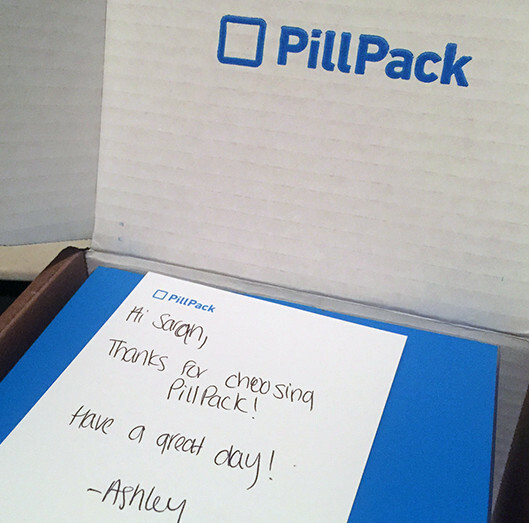 Next, I reviewed what would be in my actual PillPack delivery, approved it, and waited for it to arrive. PillPack has a great email system that tells you when your PillPack has shipped so you know when to expect it, and it uses UPS for delivery, so you can track it along the way. Here’s what my PillPack looked like when it arrived. I love the size of the box that contains all the PillPacks. The box is slim so it fits perfectly in a kitchen or bathroom cabinet. The packets themselves are beautifully designed to show the date, time, and contents of each pack. PillPack does have an iPhone app that uses push notifications to remind you to take your medication. I do find these notifications helpful because I often forget and I now know the audio sounds that’s associated with PillPack so I don’t even have to see my phone – I can just hear the sound and know it’s time to take a pill. 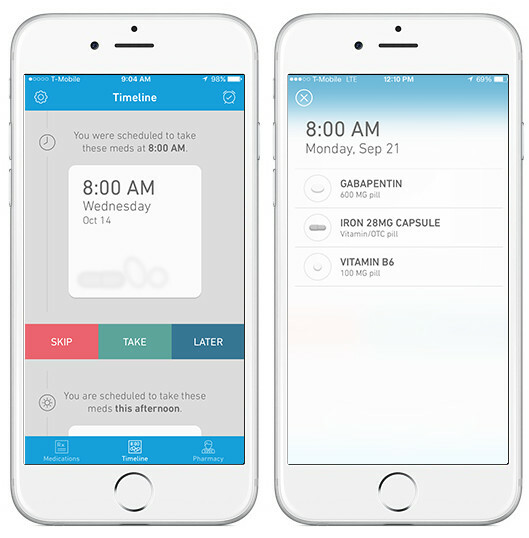 Within the PillPack app, there is a beautiful timeline that shows you a visual representation of each packet you need to take and gives you options to say, “I took it”, “I’ll take it later”, or “I’m not going to take it”. At first I really loved this feature because I like checking things off. However, I’ve been receiving the PillPacks for two weeks and no longer go into the app to say “I took it”. One idea I have for PillPack is that they could offer a paper checklist so that people could put it on the inside of a cabinet and check off each time they take a medication. This could be especially helpful for older people who may not want to use the PillPack app. One way to keep habits is to have more accountability, and a simple checklist could help with that accountability. I know it seems so un-tech, but it helps solve a very big problem. Another idea I have for PillPack is that they could offer a “talk to a Pharmacist” feature. This feature would let you either type a message to a pharmacist, or it could let you ask a question and then a pharmacist could call you, similar to Oscar Health’s Talk To A Doctor feature. Why would this be helpful? Well, a lot of people have concerns about taking over the counter medications with prescription drugs. It’s a serious question that’s not always easy to get an answer for. Just this week I got a cold and I wondered if the over the counter medication I got would conflict with my prescription. To find out, I had to Google which took a while to find a site I trusted. However, if this had been a feature in the PillPack app, I would have found tremendous value in it – not to mention immense peace of mind. 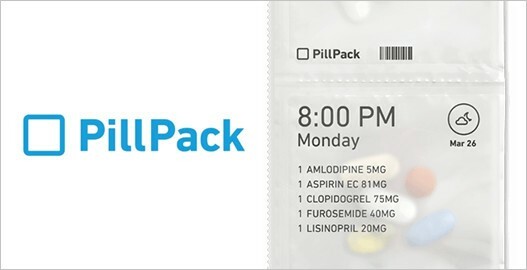 Overall, I really like PillPack and I’m really impressed with the entire user experience. The medical system has a lot of friction in it and it’s so awesome to see a company that’s been able to create a product that could really bring a lot of great change for both physicians, pharmacists, and patients. PillPack is a great example of a company who understands that to create a great user experience, you need to think beyond the screen. If the packets were hard to tear, then I wouldn’t like PillPack. If the box that the packets are in was really big and didn’t fit in a cabinet, that would be a problem! Every little detail matters and it’s clear PillPack is thinking about them. 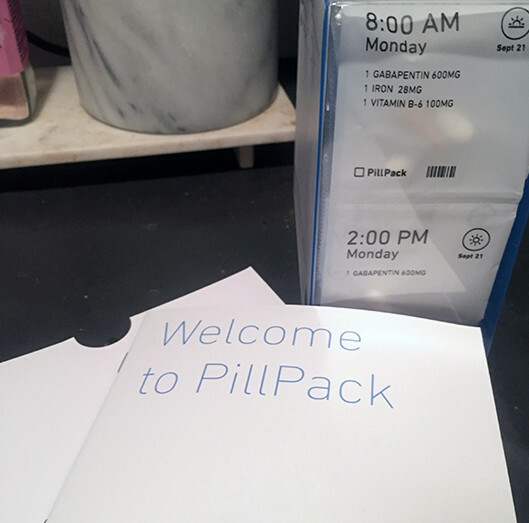 PS: I did a Periscope to show you more about PillPack, view the Periscope broadcast here.